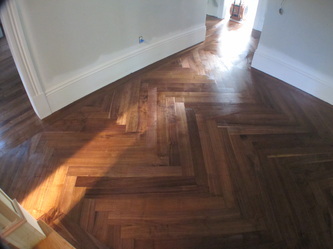 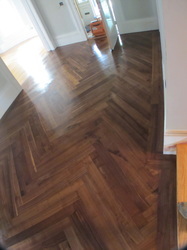 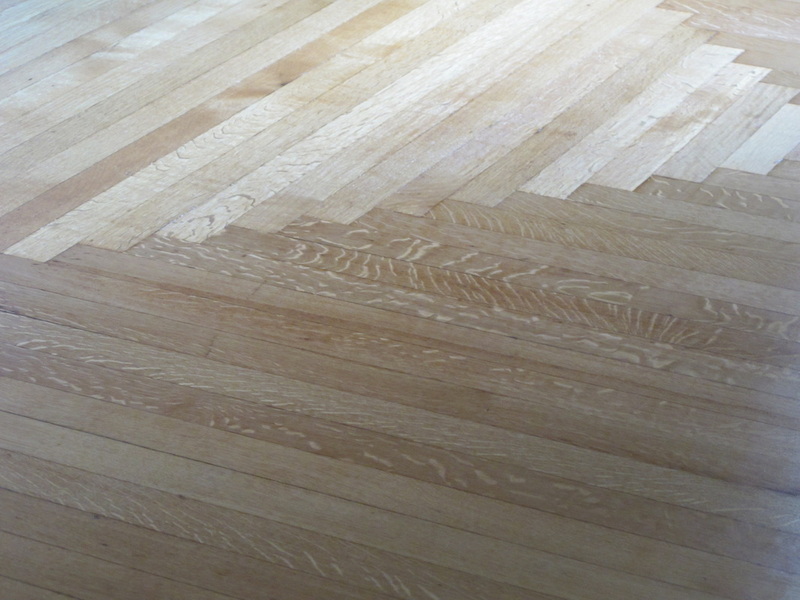 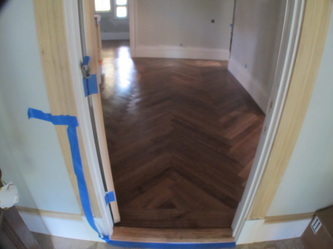 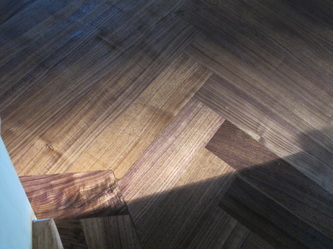 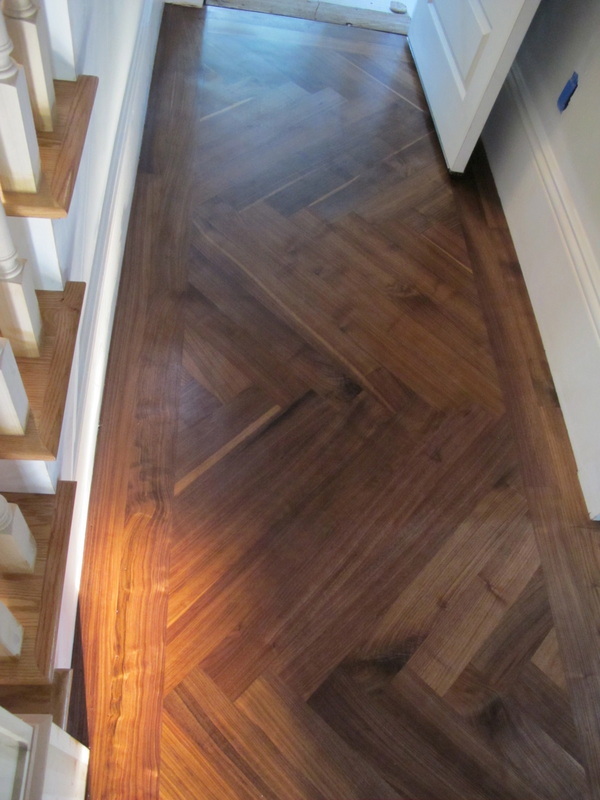 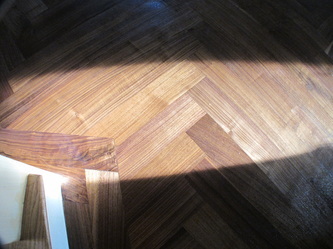 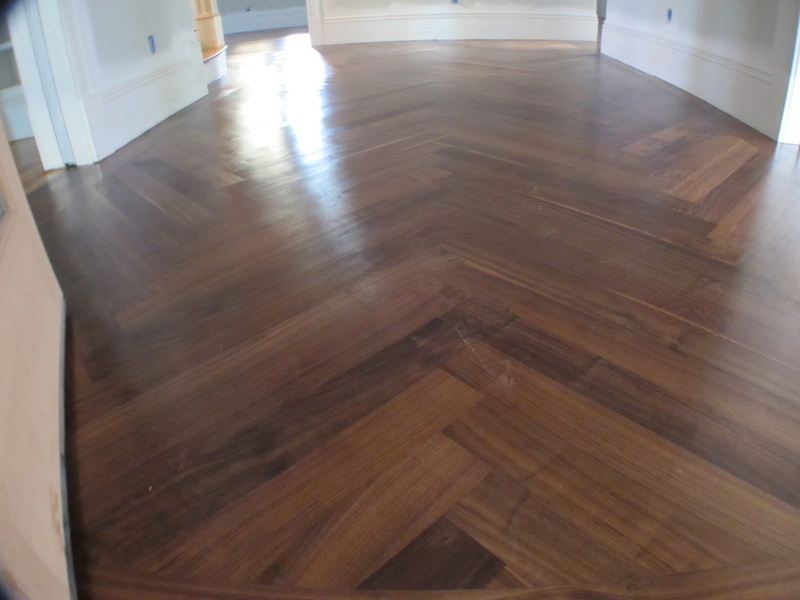 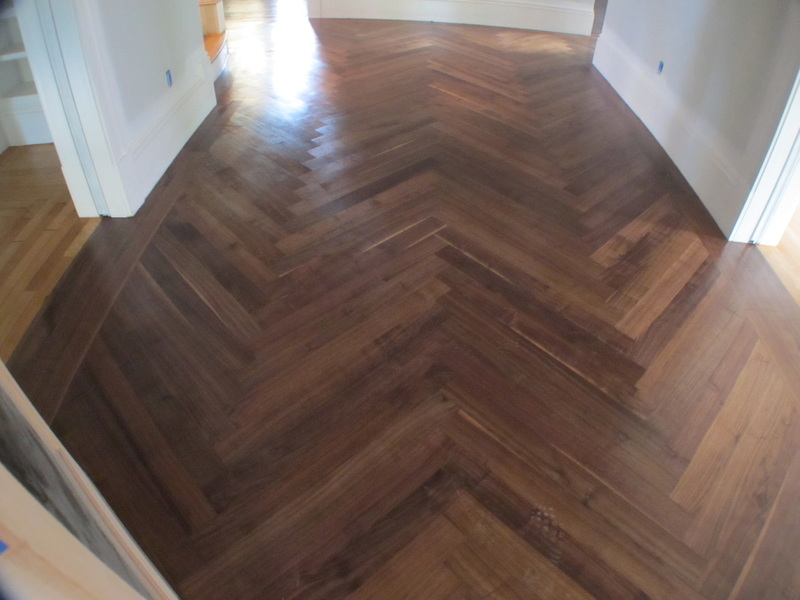 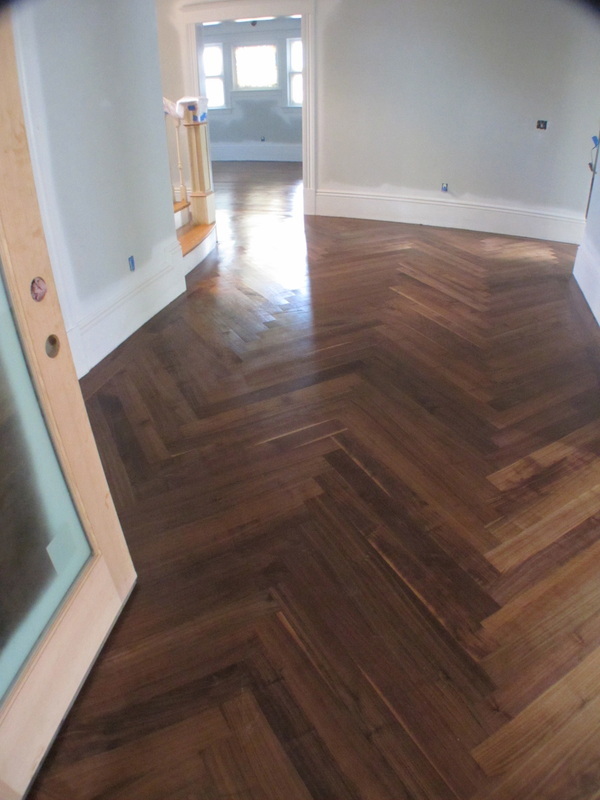 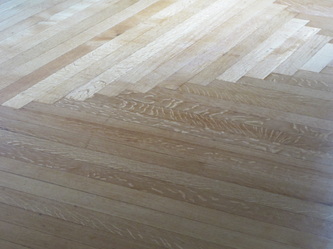 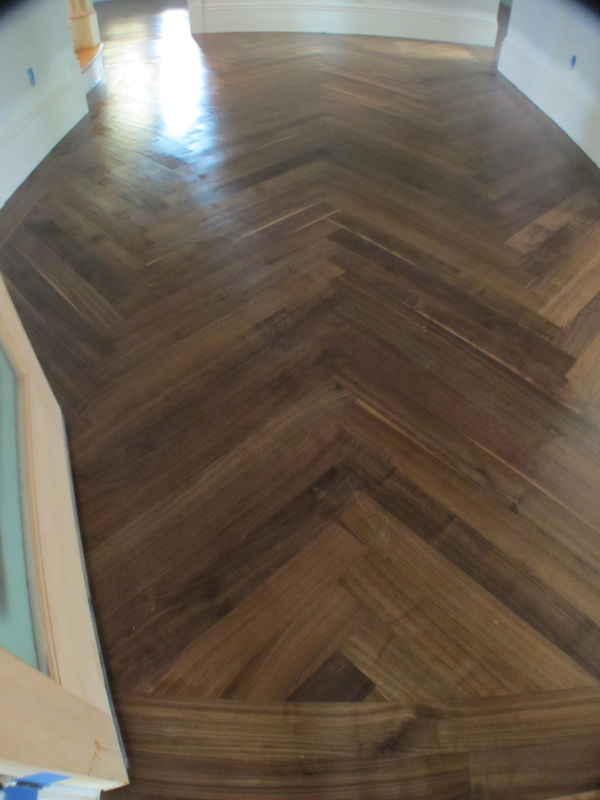 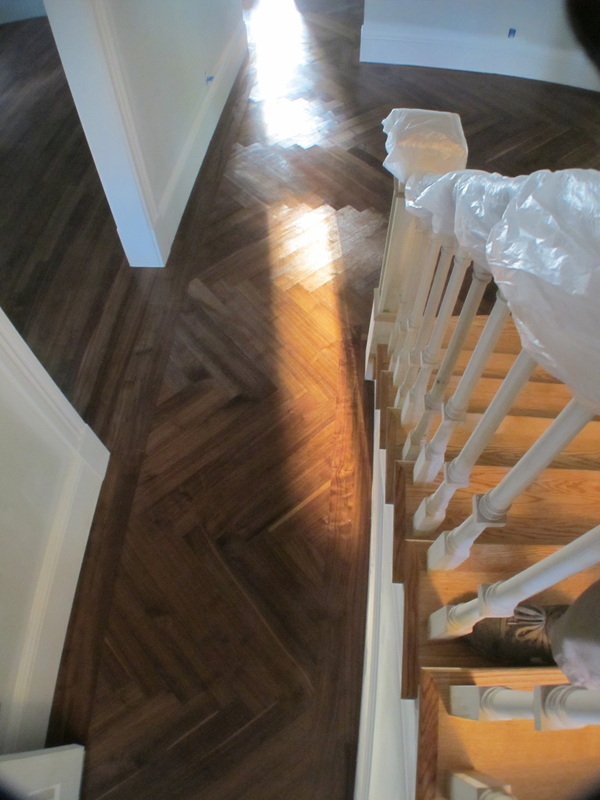 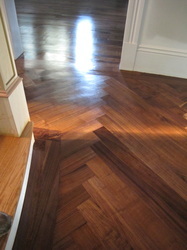 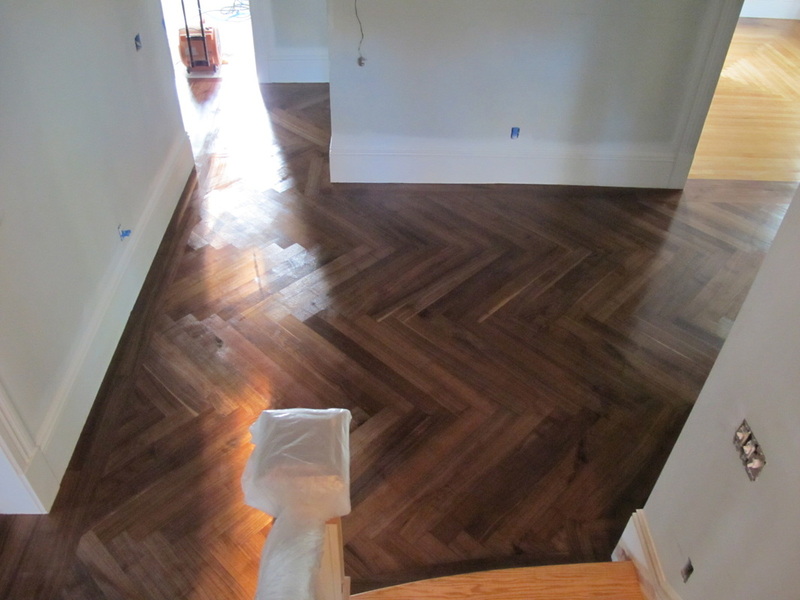 We custom milled onsite, our own 3' herringbone pieces. 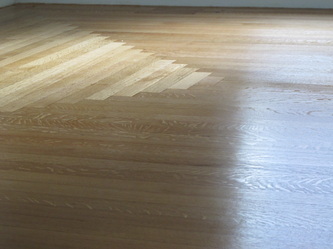 I came up with this design as soon as I saw the space. 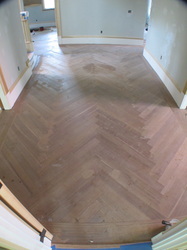 All pieces are tongue and grooved in, including the border. 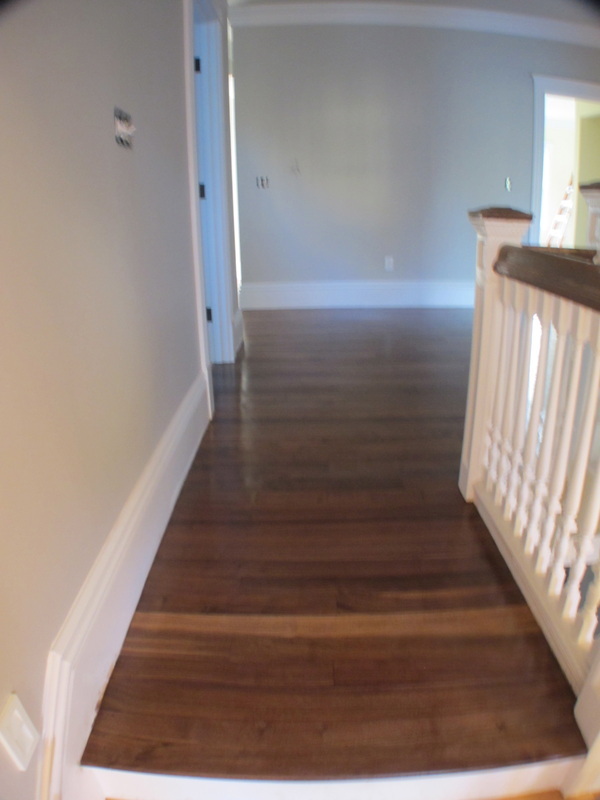 The H-Bone is 4" while the straight run rooms are 3" wide. 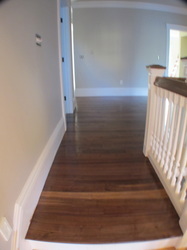 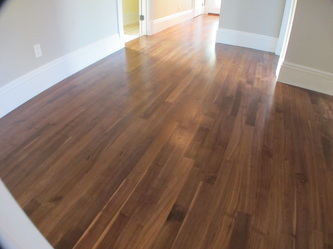 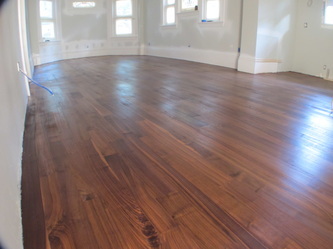 We finished the wood with Earthpaints Bio Poly NT rubbing oil. 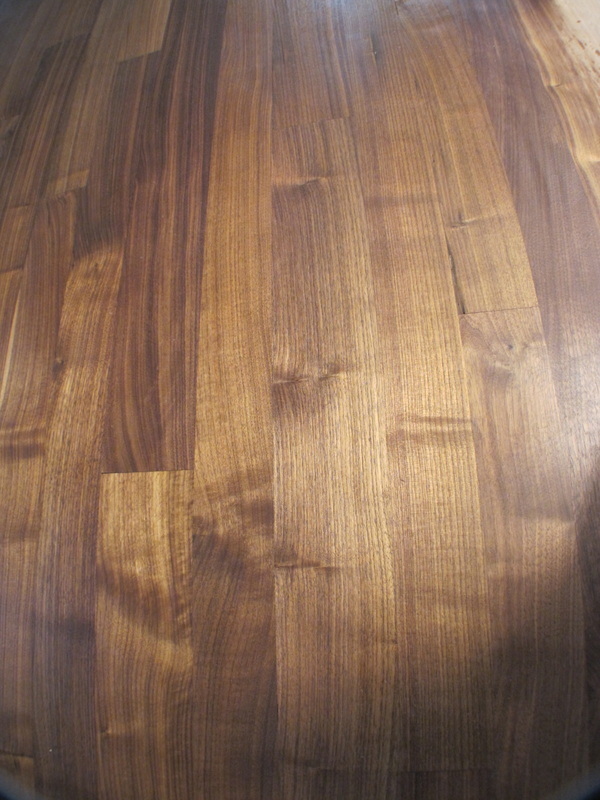 It is known for pulling the figure out of the wood and really making the grain pop! For extra protection we topcoated with Earthpaints Nano Sealer.